Australian company Fairlight is well known for introducing the Fairlight CMI, one of the first digital sampling keyboards. In 1984 they unleashed the $6500 Computer Video Instrument. 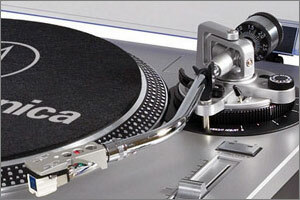 The hybrid digital/analog device accepted two composite/component inputs and had one output. Parameters for the 100 presets were controlled using an incredibly responsive bank of 10 sliders on the front panel, much like mixing audio. In case you had the urge to create some titles, the unit also includes a drawing pad. The CVI has the ability to record a sequence of actions for later "performance," and these could be stored on videotape (the same way that early 1980s computers used cassette tapes for program storage). The CVI was one of very few options available to video artists in the mid-1980s and many of its presets and effects were incredibly overused in videos and commercials. As their brochure says, "A new generation of visual imagery by Fairlight." Indeed. 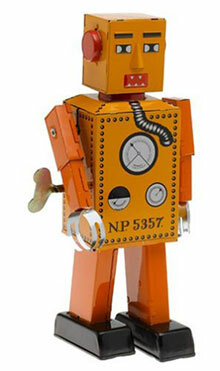 I mentioned Paya tin toys several months ago. 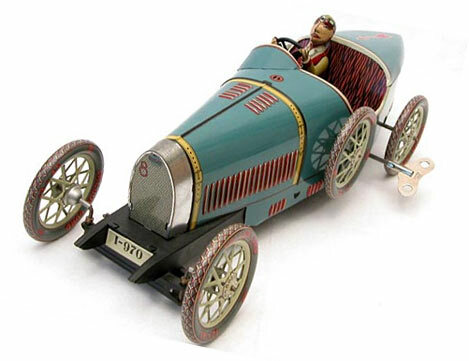 The Spanish company was founded in the early 1900s and produced a variety of truly beautiful toys. They were briefly resurrected in the 1980s and produced some nice reissues of their classics. No, this isn't going to be another post like my infamous Stonehenge announcement. 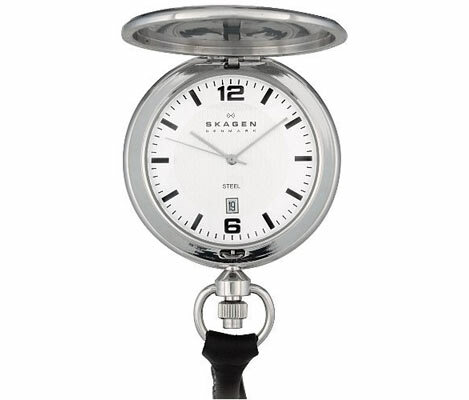 Skagen is a Danish company specializing in clean and elegant timepieces. They're also reasonably affordable (as in under $100). Don't panic. I know the Holiday Season (TM) is just around the corner, and I can help. This is the time of year when my family starts calling and e-mailing in a desperate attempt to decipher what I want for Christmas. I usually don't know what to say, but this year I'm pointing them toward my snazzy new online gift list. Since it's already online, I figured I should share the list with you. I don't expect you to send me presents (although I won't say no), but you might be able to swipe a couple of neat and nifty ideas to claim as your own. Since I'm only just recovering from the e-mail beating I took for my less-than-traditional ranking of the Top 20 Retro Car list, these items are in completely random order. I spent a lot of time wandering European airports in the late 1990s. Puttering around airport electronics shops was a wonderful and costly way to kill time and Psion handhelds repeatedly caught my eye. Sadly, Psion withdrew from the handheld market in July 2001, but many of their sleek little machines live on. Psion was founded in 1980 as a software company focused on home computers like the Sinclair Spectrum. They began dabbling with handheld technology and eventually developed a handheld operating system called EPOC. A series of quirky little handhelds followed although they're best known today for transforming EPOC into the Symbian OS that powers mobile phones from Nokia, Ericsson, and Motorola. This is the Revo Plus. It wasn't the largest or most powerful of their line, but it offered a tantalizing balance of respectable features, low price, and reasonable battery life. 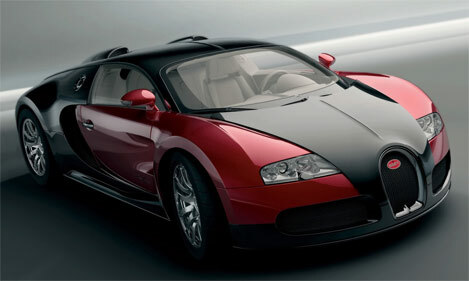 It was introduced in 2000 and originally sold for $399. Revo Plus came with 16MB RAM, an early version of the Opera web browser, and runs a 36MHz ARM processor. The display is crisp but not backlit in an attempt to stretch battery life (and keep the price down). A souped-up suite of PDA-ish software is included. Standout programs include an Excel-compatible spreadsheet and a serviceable word processor. Psion handhelds are becoming quite inexpensive on the web, although chances are there's one on eBay that was purchased by a marketing boffin and tossed unused into a desk drawer. Here's something from the Retro Thing Holiday Gift List. 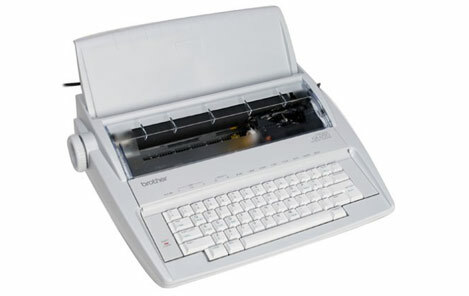 The Brother GX-6750 is an honest-to-goodness daisywheel typewriter and it sells for less that $100. It's electromechanical -- a microcontroller decodes the keypresses and drives the rotary type wheel, but the output is similar to a traditional. The machine includes a very modern 65-character correction memory and comes loaded with correction ribbon, so you don't have to suffer through the torture of whiting-out errors by hand. So what are you waiting for? This is your chance to become a bonafide typewriter-wielding author. It's time to introduce the Pixelvision PXL 2000 from toymaker Fisher-Price. 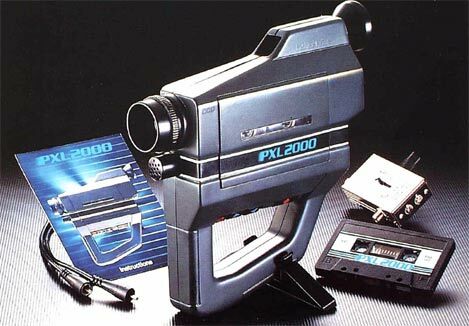 The PXL 2000 was introduced in 1988 as a $99 kid’s video camera. It records decidedly lo-fi video on standard audiocassette tapes running at very high speed (approximately 4X normal). The PXL 2000 captures a mere 100 lines of resolution (versus about 500 from a modern miniDV camcorder) and grabs only 15 frames of video per second. To top everything off, the camera features a cheap fixed-focus plastic lens. A tiny matching 4” B&W monitor was available as an accessory. Engadget Boing Boing is running a short piece on this Pong Clock. 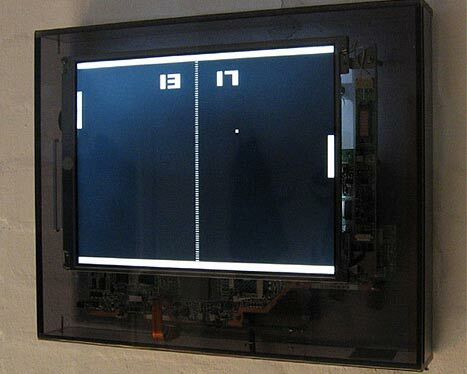 I'm not sure how I feel about a classic game of Pong running on an LCD panel, but it's definitely cool. The game plays randomly, while the "score" is actually the time. 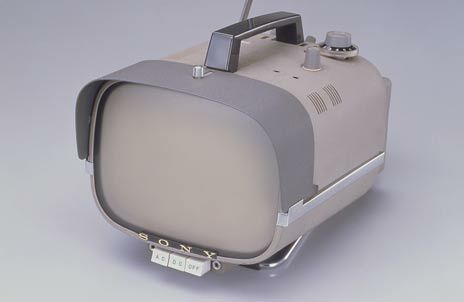 Sony Corporation introduced the first 5-inch all-transistor television in 1960, foreshadowing Japan’s future dominance of the television industry. The TV8-301 was Black & White and had just about the coolest Jetsons styling I've ever seen. By the time Sony's R&D team had finished their design, they had created 9 brand new transistor devices, including a high-frequency tuning transistor that was completed only a month before the set was released. It goes without saying that the TV was extremely expensive and it's bleeding-edge components were prone to frequent failure. As far as I’m concerned, the modern era of electronic music began in 1970, when Bob Moog crammed an entire synthesizer into a single compact box with a keyboard. Moog, with a PhD in engineering physics, had a long history designing and building ghostly-sounding electronic Theremins and complicated modular systems. As a result, he had an excellent sense of what modules were required to create a versatile synthesizer. He did away with the patch cables by connecting the modules internally in a "normalized" arrangement that has become the standard for nearly all instruments since. Moog left Moog Music (then part of Norlin Industries) in 1978 but continued his involvement in the electronic music scene. He served as Vice President of New Product Research at Kurzweil Music Systems in the mid to late 1980s, overseeing the development of some of the world’s highest quality digital sampling instruments. He eventually won back rights to the Moog name and resumed production of Moog-badged electronic effect units in the late 1990s. And so it was that Moog Music introduced the Minimoog Voyager in 2002 – it's an updated version of the Minimoog, the instrument that started the electronic craze in the early 1970s. It’s quaint and expensive by today’s standards, offering only a single voice driven by three analog oscillators. These instruments are built in the USA and designed to last a lifetime. 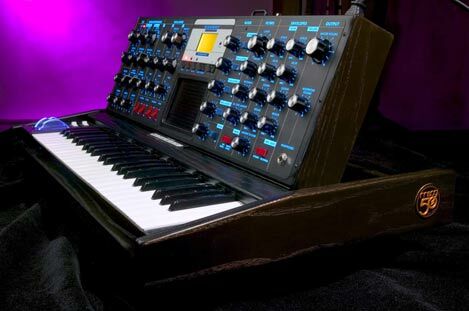 Minimoog Voyager Prices start at $3095. Bob passed away after a brief illness in 2005, but his company lives on as the sole remaining “Big Name” synthesizer manufacturer in America. 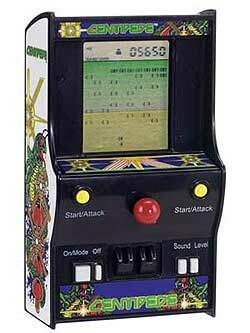 The popularity of arcade games such as Asteroids and Centipede led to the release of miniature tabletop versions with tiny LCD displays. I owned a tiny version of Pac-Man called Mini Munchman in the early 1980s, and it was nothing like the real thing. They sold quite well for a short time, even though the look and game play was a mere shadow of the their arcade siblings. 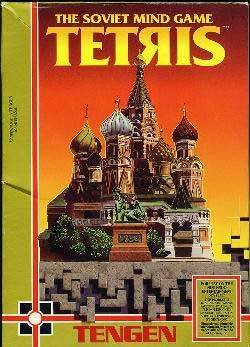 Tetris was invented by Russian programmer Alexey Pazhitnov in June 1985. It quickly became a sensation in Russia and spread to the west. What followed was an unbelievably convoluted tale of deception, as Western companies sold and resold rights to a game they didn't own. Tetris was eventually licensed by a State-owned Russian company to Nintendo for an enormous sum and was even included as a pack-in with the original Game Boy. Pazhitnov didn't receive any money for his creation until he formed the The Tetris Company LLC in 1996. Where Have All The Synths Gone? Back in 1985, every keyboard player had a stack of synthesizer keyboards and modules connected by a spaghetti of MIDI and audio cables. Something new and exciting was introduced every six months. Fast-forward twenty years and the average electronic music studio looks more like the computer shop, dotted with flat panel monitors and a PowerMac or two. The synths are all simulated in software these days, and it's getting hard to find real physical instruments. That's why I was excited when veteran synth designer Dave Smith (of Sequential Circuits fame) added a genuine keyboard synth to his company's lineup. The Poly Evolver is based on a little synth module he released several years ago. It has 4 voices (each with analog *and* digital sound generation circuitry) and sounds amazing. But -- best of all -- it offers 77 knobs, 59 buttons, lots of blinky lights, and weighs a cool 23 lbs (9.5 kg). A rack-mount version is available if you don't want knobs (hah!). They're not cheap at $2,699.00, but they'll last a few decades and run without a computer. Try that with a soft synth. Audrey is the best looking oddball microcomputer ever featured on Retro Thing. She's also the newest. 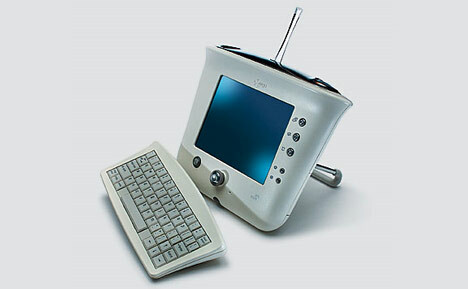 3Com (now part of Cisco) introduced the Ergo Audrey Internet appliance in late 2000. 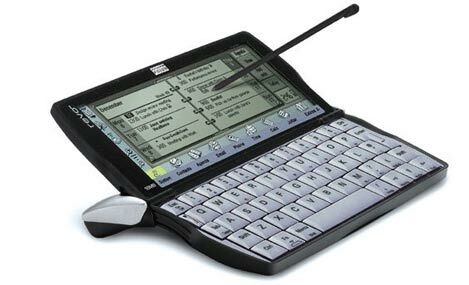 The $499 device was envisioned as a web surfing and email device for the masses. She was designed to be washable (ooh) and came in five excruciating colors:slate, ocean, sunshine, meadow and linen. Technically, Audrey was a neat machine. She runs the QNX 2000 operating system and includes a touchscreen stylus. The guts include a 200-MHz Geode GX1 processor, 16MB of ROM, 32MB of RAM, and a built-in 56K modem (that's right -- no hard drive). She even supports a built-in wi-fi upgrade and the sleek little wireless keyboard tucks behind the screen when not in use. The problem with Audrey and her friends was that manufacturers were rushing into an "appliance" market that didn't really exist. It makes far more sense for most people to buy a slightly more full-fledged computer, and you can bet that Audrey wasn't a lean, mean gaming platform.